We are a Bristol-based organisation that began as a theatre company with a double-bill at Bierkeller Theatre in July 2014. In 2015 our founder, Rupert Bathurst, enrolled in the Princes Trust Enterprise Programme, to help strengthen the business whilst brewing plans for the future. Over the past two years with the help of the Trust. 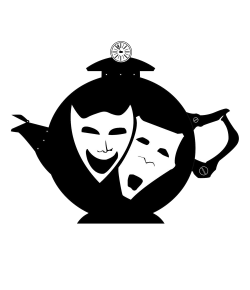 Tea-Powered Theatre has gone from strength to strength, launching our Teatre events and producing them with increasing regularity. For more information see our Teatre page. As a company, our eventual goal to open a Steampunk Tea Shop Theatre in Bristol city centre in the coming years.